Paleontologists study bones, which is called osteology. 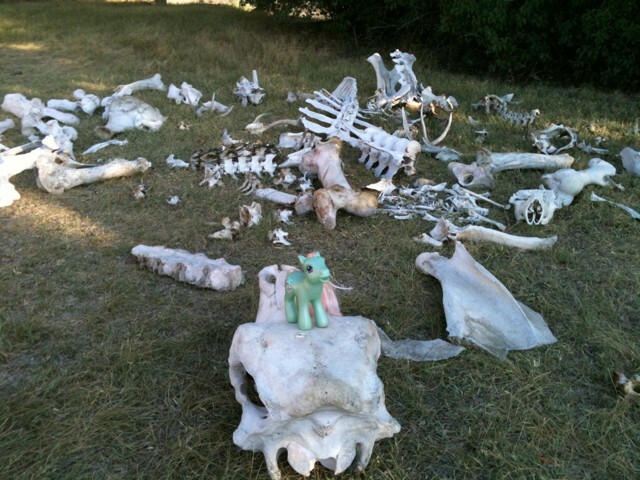 That means animal bones are everywhere! It's creepy or cool, depending on your point-of-view. As someone who loves My Little Ponies and wanted to grow up to be a paeleontologist, thank you for living the dream! It seems a pretty sure bet that Minty is among those who think it's cool. Only ten seconds earlier, that was a complete, assembled skeleton. Oh Minty.